Today began with a flurry of excitement; some new birds at the feeder. Immediately Chloe is grabbing our bird book and thrusting it at me. What kind of bird is it mom?!?! 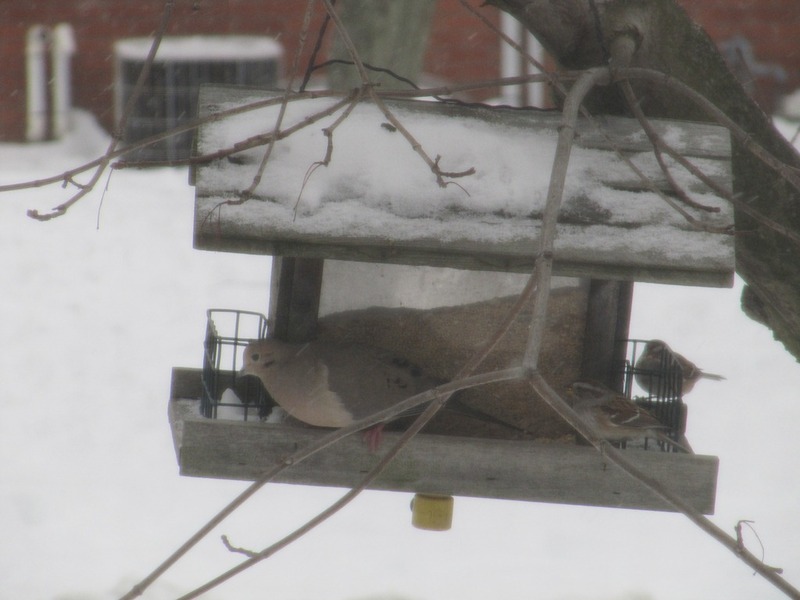 Unidentified brown birds – shaped like chickadees but with no capped heads nor wing markings. Mom said that Oma just called them “snowbirds” though when I did an internet search with that term, all I got was information on seniors going south for the winter. Ha! The very first bird we identified using our book was a red winged blackbird this summer at our pond. We’ve been identifying the birds and reading about their characteristics. We’ve also spent a lot of time ‘nest-spotting’ since the trees are bare. The tots have been enjoying this as well. Good thing Grandpa bought the tots binoculars! A site that I’ve began to explore is A Home for Wild Birds though the guide has been our primary resource. 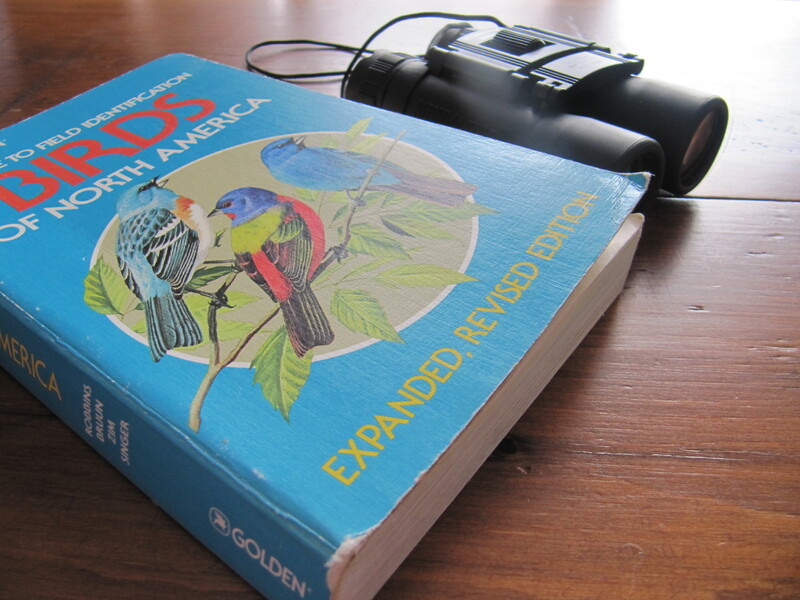 Our beloved bird book is much loved, for it’s practicality as well as it’s sentimental value. It belonged to my Oma, who loved birds. As a teen I was often battled at the delight she took in birds, and all of God’s creation for that matter. But as I moved into adulthood I began, more and more, to appreciate her appreciation of the beauty and uniqueness of all creation. Now as the children and I marvel at the winged creations of our Creator and puzzle out the species, I think of Oma often. What is the most common bird in your area? This post is under “Homeschooling, Just Life, Teaching Tots” and has 5 comments so far. hi jennifer! thanks for linking to my craft. your little dove looks so lovely perched there on the feeder. i feel so lucky when i see a bird visiting, even if it’s “just” a sparrow or chickadee. they seem to be the most common, though we also get bluejays, robins, cardinals, a hummingbird (once!) and the biggest was this one! and your unidentified brown bird… could it be a female house sparrow? the males have a dark marking on their faces and “bib” but the females are a more even brown all over.